Gian L. Turci (1950-2009) Founder of FORCES Canada, President of FORCES Italy, CEO of FORCES International, Member of the Executive Committ ee of Freedom2Choose, Director of TICAP. A convinced libertarian who sacrificed his life for the struggle against prohibition. We owe you so much. Rest in peace. Riposa in pace. "On behalf of the Board of Directors of TICAP, I should like to convey our most sincere condolences to his family and above all to his son, daughter and wonderful wife Anne. We should also like to pay tribute to Gian, who was not only our fellow director and beloved comrade-in-arms, but a formidable champion of liberty and a truly great man. We shall miss him sorely but his work will not be in vain for we shall continue the struggle against the forces of prohibition with renewed vigour and determination. I hope that our readers will join with me in expressing their condolences. " We shall never forget you, Gian. Shine on!" "'Death reminds us to celebrate life', said the undertaker, 'just remember to enjoy as freely and intensely as you can. How long it lasts, it doesn't matter, for it's just a lightning in the dark. Make it a bright one!'" "Today exists an army of most particular activists. There is no mistaking who it was that laid the groundwork for all else who followed. 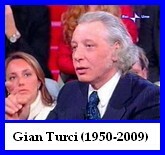 Gian Turci is the Father of Smokers' Rights." 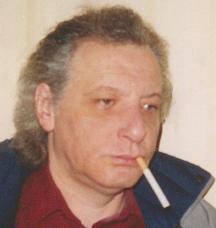 "Gian was my teacher when I first joined the international F/forces against smoking bans in 1999. He opened my eyes on what was really happening in that area. He made me become active in the Netherlands and helped me, with his comments and analyses, create a strong resistance here. One that is now so powerfull that it is severely challenging the authorities through lawsuits against the smoking ban. It's such a pity that he left this life too early to see the real effects of what he ignited." "It is time to end the antitobacco problem. It is clear that any form of coexistence with antitobacco ideology is impossible – in America, in Europe, or anywhere else." C.A.G.E. Canada: “Gian Turci - a champion and a hero“, in Italian: "Gian Turci - un campione e un eroe"
Christoph Lövenich (TICAP, FORCES Germany): “Ein General ist gefallen – la lotta continua”, in English (abbreviated): "A general has passed away - la lotta continua"
Søren Højbjerg (Danish Smokers’ Association): “Mindeord”, in English: "Gian Turci is no more"
Simon Clark (FOREST): "Gian Turci, champion of smokers' rights"
John H. Baker (Freedom2Choose): “Gian Turci, goodnight and god bless. 1950-2009"
Leonardo Facco (Movimento Libertario): “Addio caro Gian"